SS501 Shooting new MV with ESAOS this Wed the 19th . Just came back from Soompi SS501 thread ! video with an orchestra team ! There's a request for the 25 string members. The place will be either Ilsan or Namyangju. The shooting will start at night and may end at dawn. Ok....me just came home....work is hectic ! !....and I got the news ! Idol group SS501’s company, DSP Entertainment, has announced that the boys will be shooting their new music video with ESAOS on May 19th. This MV is to be included in the new album that SS501 will comeback with later this month! The Ewha Symphonic Amateur Orchestra Sounds or ESAOS was only recently informed by the production team that they would like to work with the orchestra for the new music video. 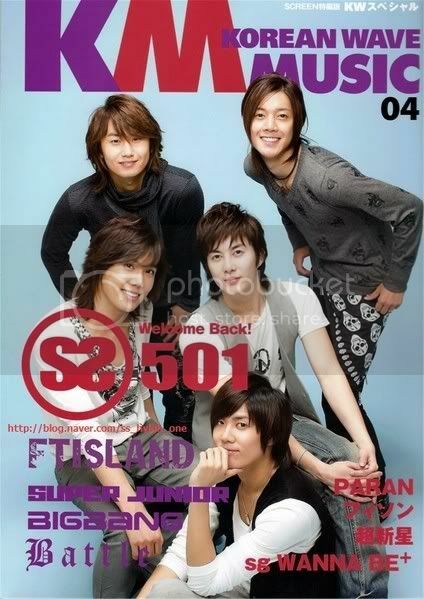 This will be SS501’s second MV with ESAOS, their first being Find, which was released on July 28, 2008 in the mini album of the same name. The contents of the MV have not yet been made clear by either DSP or ESAOS, but from what we know, we can tell you that there are about 25 string instruments that will be used for the music. It is also said that ESAOS will be playing their instruments in the background while the SS501 boys dance in the foreground. As already stated, the filming for the MV begins on Wednesday, May 19th. The team will film during the late hours of the night and quite possibly continue filming until the next morning. The venue has yet to be decided, but it is said to be in either Ilsan or Namyang Ju. I wish them good luck with the MV and I can’t wait for SS501’s comeback!